My turn to run the writing group this week and, being the day before Valentine’s, what else could I do but sonnets? The group rose brilliantly to the challenge and created some very beautiful sonnets in honour of those they love. Distracted by being the ‘leader’, mine is very much a work in progress. Although, if you do want to see one I wrote, Salsa was written some time ago. I have included the information and the activities that we looked at during the group as you may find them useful. I look forward to reading your sonnets! A most famous love poem using the poetic form known as Petrarchan sonnet, a 14 line poem divided into two part, an octet (8 lines) and a sestet (6 lines). Petrarchan sonnets were discovered by Thomas Wyatt in the 1500s but were written probably in the 1300s. Petrarch had already experimented with the Italian canzone stanza – a form in which there was an obvious change between the octet and sestet. There have been many developments on the Petrarchan sonnet and many rhyme schemes. Sonnets are a kind of lyric (from the word lyre and therefore to be accompanied by the lyre). All poems need to have a ‘back story’ – all those details that you would not include but you need in order to know the subject of the poem. Before you start, think about the story behind your poem. Who/what is the love interest? What bought you together or spilt you apart? The smallest details are often the most moving parts of poems: the loop of hair in the hairbrush of a deceased lover (read the poem Gone by Simon Armitage). Before writing a poem, write down everything you can think about the love interest – all the small and big things – Eg: the chocolate mole on the back of their neck, sonorous snoring that wakes you in the middle of the night. Anything you can think of that will help you to write about love in a poem. Can you say it without adjectives/adverbs? For example, I love you very much indeed….is more powerfully said, I love you! Every word is important and intensifiers often take up words where a simple image word say it more powerfully! Sonnet’s were at least approximately iambic pentameter. Ahhhh! I know, not something easy to get your head around! Each line has 10 syllables. An iamb (a metrical unit) consists of 2 syllables, one stressed and one unstressed. Each line has 5 and hence is known as iambic pentameter. Read your poem aloud to yourself so that you can hear how it sounds. Remember, everyone throughout the history of the sonnet has experimented with the form so don’t be afraid to let your words speak rather than being a total slave to the form! This is a bit of an old essay, but one of my favourite’s so felt the need to share! Alice Munro once said in an interview “there’s something about aging when you’re a woman [that makes] you feel you can’t win.”(Carrington, 1989). In Lichen, his sentiment is expanded to show that men find aging equally problematic. Munro represents bodies through idealization and fragmentation to show the humiliating effect this has on both men and women. David’s anger projected onto women is anger at the aging process. He appears at the house of his ex-wife with his new lover, Catherine, who is nearing forty, but his description of her as someone ‘drooping over [Stella], a tall, frail, bony woman’, (p 44) makes it very clear that she is soon to be replaced. Aging is about bodies for David. He is revolted by the appearance of his father-in-law with his ‘bluish-grey skin with dark blue spots, whitened eyes, a ribbed neck with delicate hollows like a smoked glass vase.’ (p68) He does not believe his father-in-law is human but a ‘post-human development'(p67). David fragments the body into a list of parts and depersonalizes both men and women, turning them into mere flesh, thereby allowing them to become disposable and replaceable. David’s attitudes to bodies enables him to reject the aging process but he remains an immature character, always ‘someone learning to be a man.’ He turns up at his ex-wife’s home like a ‘prodigal son’ to parade his latest girlfriend. But he is like an adolescent; he boasts to Stella’s neighbours and he insists Stella also sees the pornographic photograph of Dina. He seems to take sadistic pleasure in forcing Stella to see what he views as a symbol of his power and eternal youth. There is irony, however, in David’s assertion that his activities keep him young. Effectively he is no different from his father-in-law who Stella says ‘fixes up the past of anything he wishes had happened did happen.’ David has idealized memories of Stella at a party, ‘coming across the lawn with her sunlit hair…and her bare, toasted shoulders.’ (p70). He treasures the picture and memories of Dina, but part of him knows he fantasises. Dina was unlike his description, never ‘so wild or so avid or doomed as he pretends she is.’ (p65). David is concerned for the disguises of youth to remain in place. By idealizing Dina’s image in the form of a photograph, he hopes to confine her to the female envelope. As Susan Sontag says, ‘to photograph is to appropriate the thing photographed’ (1989). David wishes to appropriate youth and by doing so, gain control and power. But his male fantasy is just an illusion and he suffers because of his need to deny his own humanity. 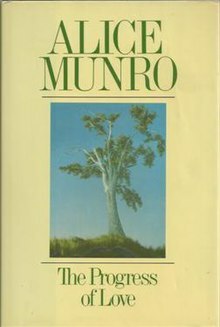 Just as David is trapped by his own desire to reject aging, Munro also shows that there can be freedom in aging as exemplified by Stella; she is no longer at the mercy of a man’s desire. She has burst out of her ‘female envelope’, a term used so disparagingly by David but one which can be seen to be a positive term of liberation. The trappings of constructed femininity harm and restrain women’s bodies and women; we see Stella’s bra ‘biting the flesh of her shoulder’ (p49). Unrestrained, she is a busy, productive and creative woman, growing vegetables with ‘considerable skill and coaxing’. She writes, makes jam and is an active member of her community. To reinforce her own independence, Stella tells David and Catherine about a woman who weaves her own cloth. The women in Stella’s community are not just flesh to be lusted after. They provide for themselves but this does not translate into ‘man-haters’ as David believes. At the end of the story, the photograph has been left to fade. The pubic hair has become lichen, the simile that Stella first used to describe it. Lichen is a ‘parasitical plant’ (Micros, 1998) dependent on a host; Dina does not appear physically in this story; she is dependent on David to give her life. But this is a fantasy; Dina is no more than an image through David and of David. He is an incomplete individual, desperate for time to stop. As Stella’s words become true, as the pubic hair becomes lichen, it is clear that Stella has the power to move on in her life. She accepts the pain of the ‘harsh little breaks in the flow of the days’ as part of the rhythms of her life but it is clear that Stella will grow as a complete human being. Munro’s Lichen puts bodies under the microscope, transforming, amputating and depersonalizing them. David does this in order to gain control of a body that is aging before he is ready. His desperation means that he continually renews and starts afresh, adding nothing to his life. He thinks he has power but he cannot stop even the photograph from fading. As it does, David is understood to lose his power. Stella mutilates bodies to reduce them to a size she can deal with so that the pain of what David is doing does not destroy her. Independent of David, she is a busy, creative woman, adding value to the world; she produces writing, jam and vegetables. 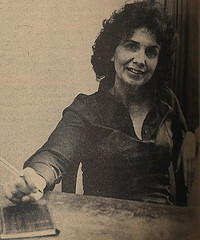 The photograph which changes appears to change because of her words; the suggestion gives power to Stella. Without the harmful gaze of a man’s desire, confining or restraining her, Stella strives.